Discussion in 'Modding' started by egnaro, Sep 28, 2016. Here I'd like to collect all the modding tools for the game. I will keep this post updated for any new or update to an existing tool. 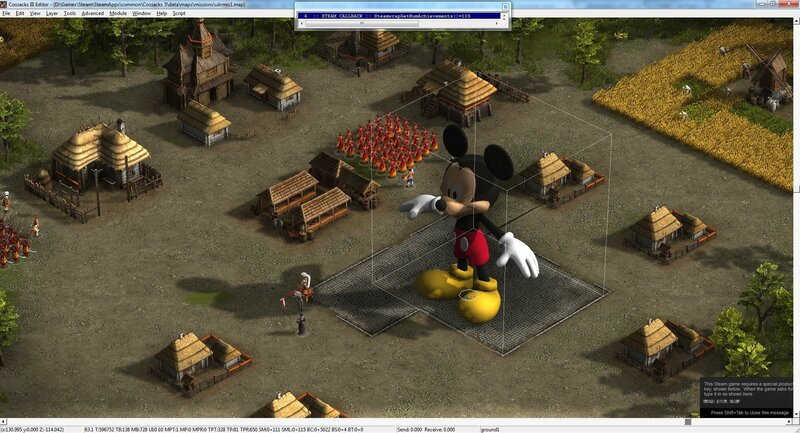 With this tool you're able to open any of the Cossacks 3 game model (OSM and OSS). You can view it, play the animation and re-save the model as OBJ file to open it in any 3D-modeling package like 3DS Max or Blender. * v 0.1 - Initial release. Opens OSM models only. * v 0.2 - Added support for the OSS models. And select when prompted "vc_redist.x86.exe" and install it. * v 0.1 - Initial release. 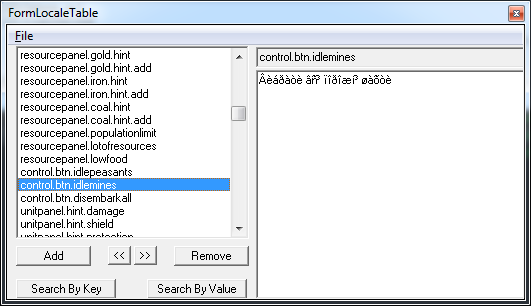 "A little tools to help modding text file. It is quite ineffective to replace a file which contain thousand of line in order to change one or two lines... And two mods which replace the same file will be incompatible!" BombaRuLz, Zakxaev68, Unikron and 10 others like this. Awesome! Can't thank you enough for this. By the way... The Hetman in your screenshot is dismounted. Does that mean that we could also use this modell as a footsoldier/commander on foot? And that we can mount other (infatry) units on horses? This would offer us many great possibilities. andyvandala, Imereti, Furious Peasant and 1 other person like this. Bit confused egnaro, why would you make a tool that already exists? Oh, I didn't even know it exists. Thanks for popping that out! Oh, wait. This tool doesn't understand any language that's not based on latin alphabet! Is it official? Really weird though. I'll agree, yours looks a bit nicer. Can you add the 'remove and add' string functions, save as .txt and search by value/key functions, arrow keys to move in place like theirs has ? 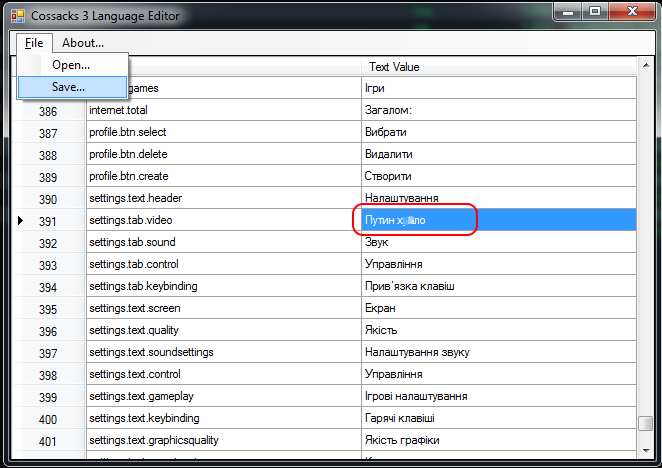 If you go into the external editor (not this language editor), but if you start up cossacks , pick the third option ( launch editor), then go to modules -> FormLocaleTableList. Thanks for this helpful tool! But after editing a model in Blender I ran into a problem. How do i save/export my new model as the OSS/OSM file it has to be?? Or atleast convert a .obj file to OSS/OSM? GREAT! Thanks for the tools, egnaro. I think we can start working, right now, with the Spanish translation XD. How to change the stats of units and building ? Or atleast convert a .obj file to OSS/OSM? 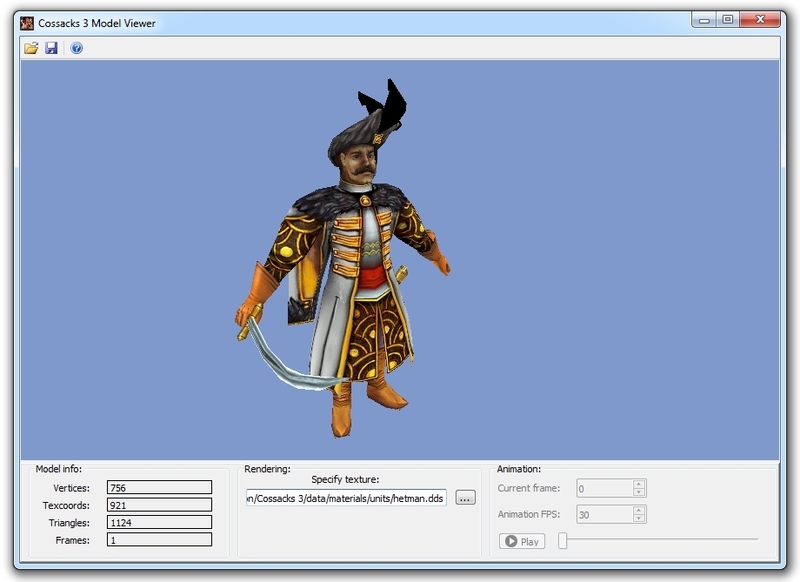 I just finished version 0.3 of my Cossacks 3 Model Viewer. Now you can import OBJ files into my tool and save them as OSM models! Conversion from FBX to OSS will be available in the next version, stay tuned! Fimti and andyvandala like this. Very nice, if you keep this up we'll have fully fledged mods even before the Workshop is out. A little tools to help modding text file. 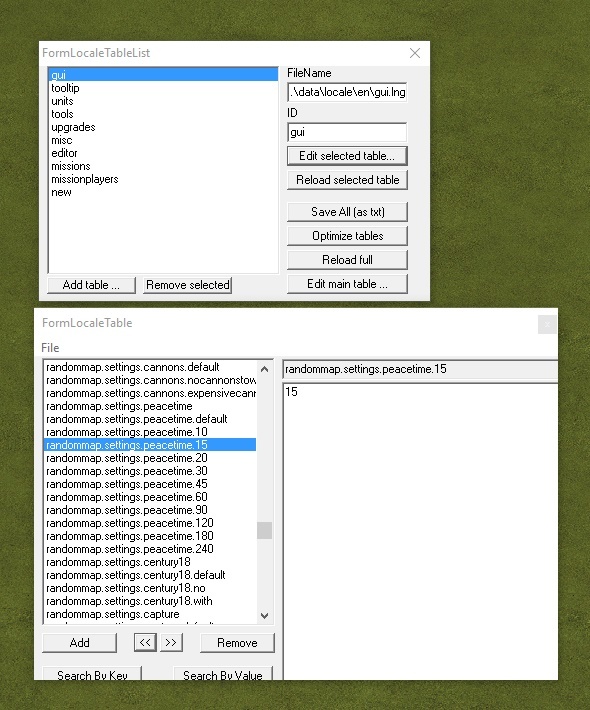 It is quite ineffective to replace a file which contain thousand of line in order to change one or two lines... And two mods which replace the same file will be incompatible! So i write this little python script. It require python to work. -For each replacement type "old text*REPLACE*new text*END*"
"old text" must unique in the file! Paste the c3mm.py file from pastebin to your cossacks3 folder. Paste mod file given by modder to the same folder. Click "file" and "open command window". Type "python c3mm.py mod.txt" with "mod.txt" is the file given by the modder. Hint: A cossaks3 update may be unistall all mods. Please report me any bug! Now can use letter and multiple dot in version number. 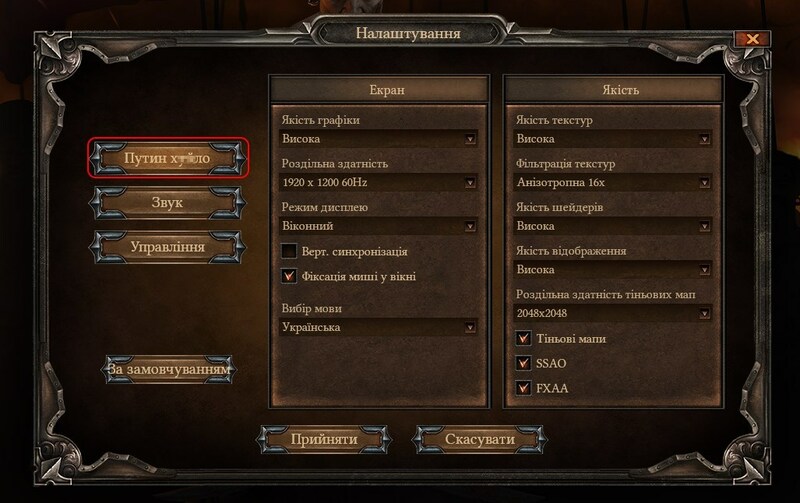 Now, you have to write in top of your modding file "name version version"
For example : "bigcheat version 1.0". Warning : version number can't has more than one dot and can't has letter! Version like "1.0.7.4a" don't work! Now, you can uninstall a mod with type "python c3mm.py uninstall mod". If you don't remember name of command, type "python c3mm.py" or "python c3mm.py help"
You can't install a mod which is already install. If you install a new version of a mod, older version will uninstall by the program. StriKe jk and Fimti like this. Thanks for the script, I may use it for my mods or at least take some inspiration from it. Little modification: now can use letter and multiple dot in version number.